(No. 97) The Mosque of al-Azhar, "The Shining," was established in 970 as the new city's chief mosque. 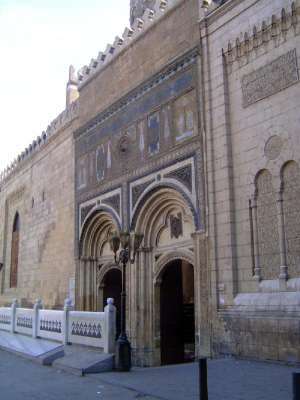 A side door is shown here because the main facade of the mosque is hidden by later additions.